Portland, OR (05/17/17) – More than 64,000 children aged 0-6 live in Multnomah County, yet there are no adopted best practices to ensure that the “handoff” between preschool and kindergarten is seamless. In addition, 40% percent of these children—or nearly 26,000 kids—are low-income and 45% are of color. The early inequities affecting children of color begin before kindergarten and their impacts can be seen throughout their educational journey from third grade reading scores, to chronic absenteeism, to low high school graduation rates. The importance of enriching, supportive early childhood experiences is clear, yet far too many families do not have access to high-quality, affordable early education. This is beginning to change through expanded investments and renewed focus at the local, state and national level. And while change is starting to take root, kids and families across the community often face a jarring transition as they work to learn the routines and expectations of elementary school. All Hands Raised (AHR) is one of those community partners who is seeking to change the system that “hands off” preschoolers to kindergarten. 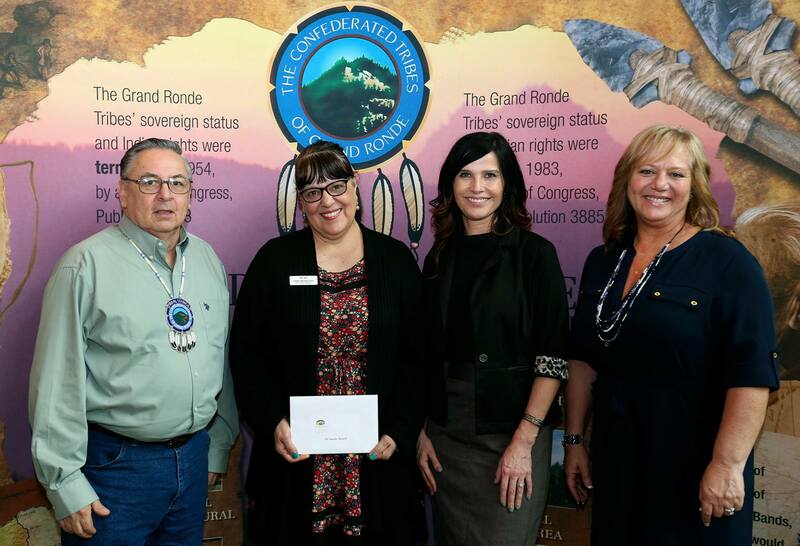 This work is being propelled by a $25,000 investment from the Spirit Mountain Community Fund. Spirit Mountain joins Kaiser Permanente which invested $15,000 in this work this past fall. Currently, All Hands Raised is working with preschool and K-12 educators at Boise-Eliot/Humboldt PK-8 in partnership with Albina Head Start as well as with Davis Elementary School in partnership with Mt. Hood Community College Head Start. The work is focused on empowering teachers as experts who work directly with children and families and help them design and test interventions that improve readiness of incoming kindergartners and improve outcomes for those students over the course of the kindergarten year. In recent years, AHR has contributed to multiple early learning initiatives, including the successful countywide effort to increase the number of students registering on-time for kindergarten. This focused work will allow the organization to go deeper and be an additive component to early learning work happening across Mutlnomah County. Site work will be shared with our local early learning and K-12 partners. With an acute focus on racial equity, All Hands Raised brings together practitioners and leaders from education, business, government and non-profit organizations, providing over $1.5 million of in-kind support to deliver the coaching, tools and framework necessary to create change. In this way and others, All Hands Raised is leading the community’s shared efforts to drive collaborative action across sectors to make real and lasting systemic change.